Canada and particularly Quebec, with its extensive land available at much lower prices than in the other provinces of Canada, is a prime location for business people wishing to build a first real-estate project either for themselves, for resale or as a recreational and tourism project. The Canadian Government website Invest in Canada will help you to understand better why Canada is currently regarded as the # 1 country in investment and quality of life. Construction Daniel Dargis Inc. helps you to start your Canadian business and realize the real-estate projects that are important to you. Canada gives also access to the North American market of over 350 million consumers. Between 2010 and 2013, in general, investors from abroad have been coming to Quebec, Canada, not only to buy a single building but a complete building project. You need more than an investment consultant who refers to statistical or economic data to guide you in real-estate projects in Canada. You need a team of experts with real knowledge and contacts among business people from the worlds of construction and real-estate projects. When it comes to trying to invest in Canada by purchasing land, buildings or businesses, in business creation or mounting a project, it is to Construction Daniel Dargis Inc. that you need to address yourself. With our network of lawyers specialized in Canadian business law and immigration, tax experts, notaries, landowners, business people, contractors, engineers, architects and other professionals we can do more than just answer your questions. We take care of the mounting and implementation of your real-estate projects or we give you the means to do it yourself. We first take the time to listen to your needs to know your business better to look for opportunities to help you invest in Canada in real-estate projects to measure. We are the only construction company in Canada to offer these services as a consultant for business people wishing to look for land, mount the real-estate projects and then realize them. Quebec is the Canadian province with the most opportunities for land and buildings at the best prices to invest in Canada. It is possible to find large extensive land there at much more modest prices than in Vancouver, Calgary or Toronto. The City of Montreal has known, between 2010-2013, records of construction. Many business people come here to buy commercial property to convert it into a condo building project. In Montreal, the project of reconstruction of highways and the construction of a new hospital are already underway for several billions of dollars. Outside the big cities, the Quebec Government has introduced a development project in northern Quebec with the Plan Nord of more than $ 80,000,000,000 over 25 years. All these projects are attracting investors from China, Brazil, France, and other countries to come and establish their businesses and invest in Canada to carry out real-estate projects. 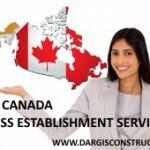 Construction Daniel Dargis Inc. is your guide to invest in Canada in construction and real-estate projects.